At Vigil Family Chiropractic, we take great pride in providing the finest chiropractic wellness care to our patients. See below for some of the services and techniques that are offered at our office. At Vigil Family Chiropractic, we provide advanced joint correction methods for the spine and extremities using "state of the art" chiropractic techniques. Never in the history of chiropractic have we been able to provide the level of help and expertise that now exists. These newer correction methods are even safer, more comfortable and more effective than ever before. As a Doctor of Chiropractic, Dr. Vigil has years of training and experience in spinal and extremity adjustments. Dr. Vigil uses a variety of adjustment techniques, such as Diversified, Thompson Drop, Gonstead, SOT Blocking, Instrument-assisted adjusting and Mobilization. We offer a variety of modalities that are coupled with the Chiropractic treatment. We offer Electrical Muscle Stimulation, Ice Packs, Moist heat Packs, and soft tissues treatments, such as Manual Release Technique, Trigger Point Therapy, Neuromuscular Re-education, and Muscle Stripping. All of these modalities help to reduce inflammation, pain, spasm, scar tissue, adhesions and promote quicker recovery times. At Vigil Family Chiropractic, a specific rehab exercise program is developed for each patient's condition. These exercises will help speed up recovery time, increase the effectiveness of the spinal and/or extremity adjustments, and can be done from the convenience of your home. Muscles and connective tissues can be altered and be dysfunctional, in correlation with the skeletal misalignment. Performing the specific exercises that stretch and strengthen the surrounding tissues will help to decrease the joint misalignment. 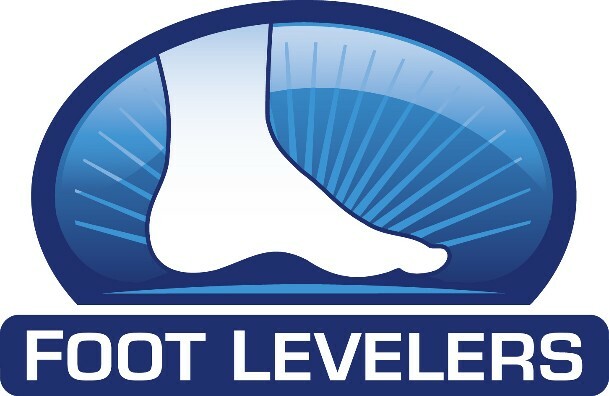 Vigil Family Chiropractic provides patients with custom orthotics from Foot Levelers. Dr. Vigil will perform an evaluation of your feet in the office that can reveal imbalances in the feet that can lead to problems in the ankles, knees, hips back and spine. There are many different shoe inserts or orthotics on the market but it is important to get custom orthotics for your specific needs and anatomy. Stabilizing Orthotics were made by a chiropractor to treat the body as a functional unit and give you the support you need. At Vigil Family Chiropractic, the person is seen from a holistic perspective. Proper nutrition is paramount for the achievement of optimal health. Counseling includes proper forms of vitamins and minerals to take for maximum absoprtion, how to avoid supplement-supplement and supplement-medication interactions, and proper food to eat for a healthy lifestyle. Vigil Family Chiropractic offers high quality supplements from Metagenics(R). Metagenics(R) is GMP (good manufacturing practices) certified by the National Sanitation Foundation (NSF), Natural Products Association (NPA), and the Therapeutic Goods Administration of Australia (TGA) to ensure the highest quality standards. Metagenics quarantines each raw material to be tested for quality, efficacy and safety. In addition to strict processing protocols, each final product is tested for purity and quality. Every ingredient is backed by safety-reviewed, published literature. Extensive human clinical evaluations are implemented at the Functional Medicine Research Center (FMRC) in order to test effectiveness and safety. Metagenics produces supplements that are potent, effective and safe, which cannot be matched in quality by many other highly commercialized supplement companies. There is a saying that an ounce of prevention is worth a pound of cure. Your spinal health is no exception. Posture and spinal screenings by a trained and experienced chiropractor such as Dr. James Vigil can help reveal important health information, unlocking the door to improved health and well-being. In order to help the Walsenburg community, we provide screenings at community events, health fairs and places of employment. Contact us today at (719) 738-3808 to arrange a screening at your event or workplace.